When warm, summer-like temperatures persist into late September, we refer to this meteorological phenomena as "Indian Summer". This term is probably racist, unless it has to do with the country India, but for some reason I doubt that it does. Branching off from this colloquial terminology, I have decided to name the meteorological phenomenon of 60 plus degree temperatures in upstate New York in mid December "Iroquois Summer". This logical extension is based off the fact that the Iroquois Nation was the group of American Indians that inhabited the Great Lakes area, as evidenced by the Iroquois Service plaza of Route 90 which has a very capable Roy Rodgers restaurant. So with Iroquois Summer in full effect here in the northeast, old man Winchell and I ventured west for lake run fish beasts. The weather couldn't have been better but the fishing was pretty slow. Still a slow weekend of fishing beats a fast weekend of not fishing. 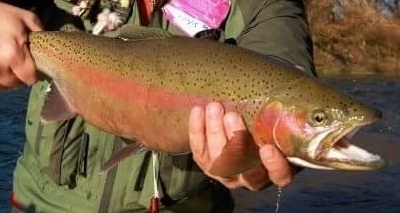 A nice drop back brown that ate a streamer from underneath a beaver dam. There were a couple fish hanging tight to beaver dams in this river, but they were tough to get at. A lone steelehead made the return trip stop at the SR sort of worth it, although we kind of felt bad for him hanging out in the river all on his lonesome with no friends to play with. A very impressive brown that weighed 14 pounds on the digital scale. It would have been really cool if he wasn't foul hooked! The true catch of the trip, was the trash chair. 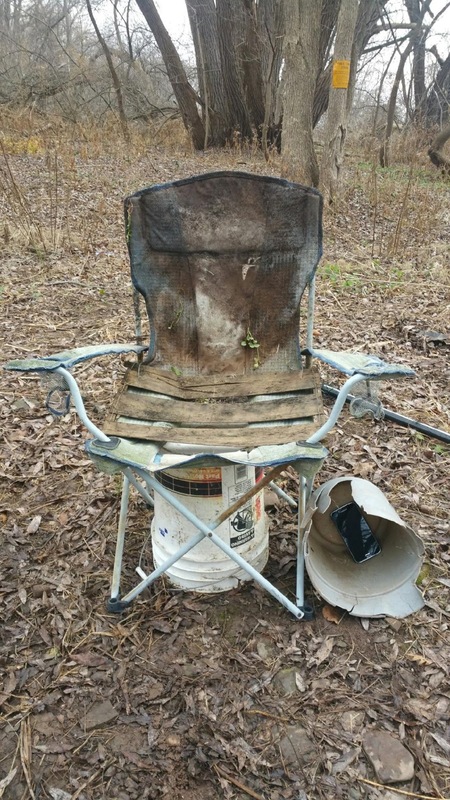 We constructed this throne purely from discarded items pulled from the dirt near our fishing location. 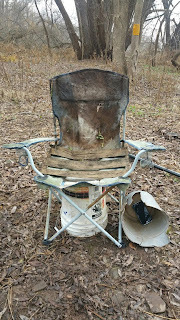 The trash chair was an iconic symbol of the way the river treated us on this weekend. We were able to put something together on the water, but in the end it was still trash. 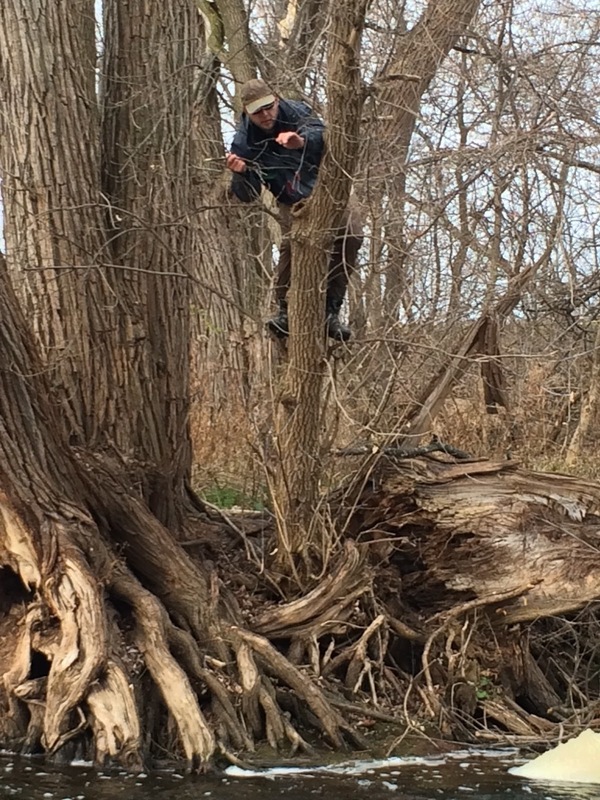 When the bite became completely stagnant, Clark decided to go harvest some flies from the tree across the way. Using a large branch as a lever, the clever BFC engineer was also able to dislodge and destroy a healthy section of the beaver dam visible at the bottom right of the image. I'd like to see a photograph of the flies rescued. Tough bite this fall, but always a blast getting out on the water with good company! Nice slew of fish for a slow bite guys. Congrats!